Got manga? 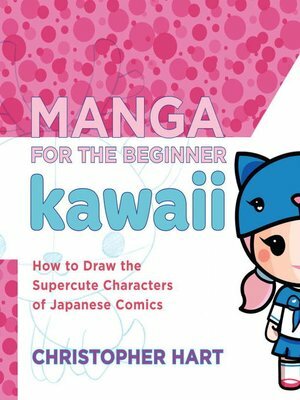 Christopher Hart's got manga, and he wants to share it with all his millions of readers—especially the beginners. With Manga for the Beginner, anyone who can hold a pencil can start drawing great manga characters right away. Using his signature step-by-step style, Hart shows how to draw the basic manga head and body, eyes, bodies, fashion, and more. Then he goes way beyond most beginner titles, exploring dynamic action poses, special effects, light and shading, perspective, popular manga types such as animals, anthros, and shoujo and shounen characters. By the end of this big book, the new artist is ready to draw dramatic story sequences full of movement and life.